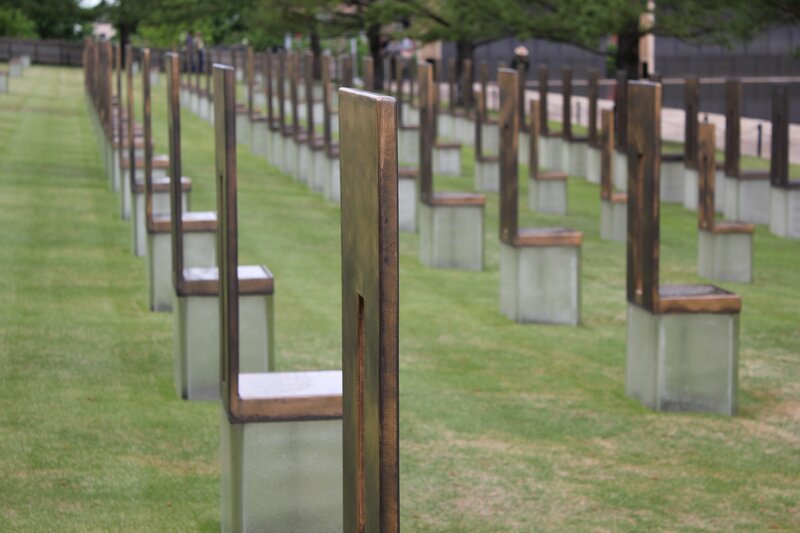 Twenty years ago today, a bomb went off in Oklahoma City, Oklahoma at 9:01 a.m. At 9:03 a.m. the explosion stopped, but the chaos continued for hours, days, weeks, and years. There are so many chairs empty because of that day, empty because of madness. This entry was posted in Headlines, Photo of the Week and tagged 1995, Oklahoma City, Oklahoma City Bombing, Timothy McVeigh. Bookmark the permalink.